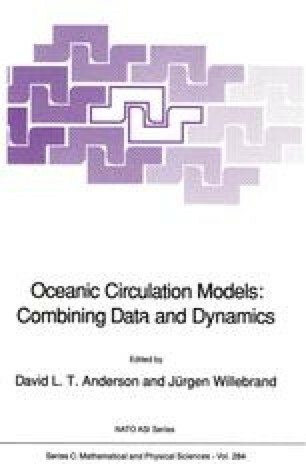 The circulation in the western North Atlantic is studied within the framework of a nonlinear finite difference geostrophic inverse model using hydrographic and currentmeter data. The nonlinear inverse formalism is first reviewed. A circulation scheme compatible with the data, the mass conservation and the potential density equation is then derived. The optimal circulation scheme presents variations in the Gulf Stream transport with longitude. The variations are explained by the interaction of the Gulf Stream with recirculating gyres.